Earn 3.99 Weta Dollars! What's this? 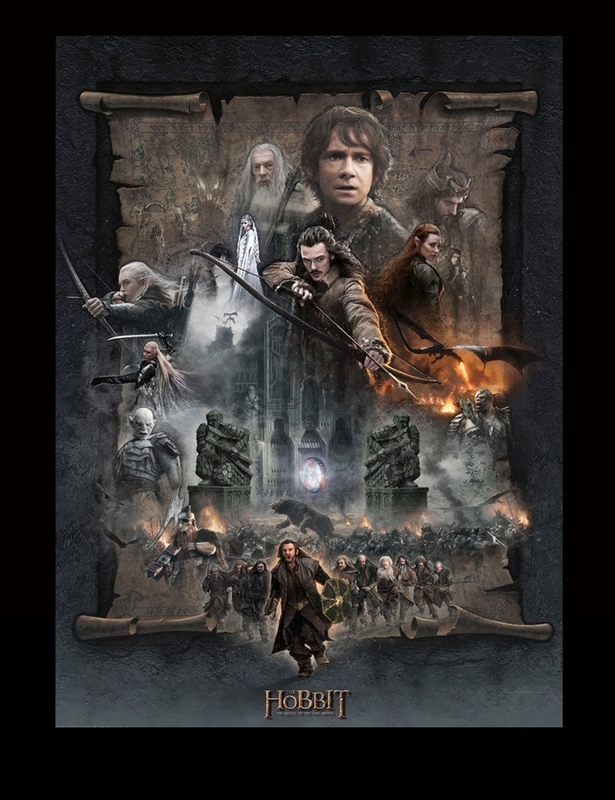 In The Hobbit: The Battle of the Five Armies, Bilbo and Company fight to keep the Lonely Mountain from falling into the hands of a rising darkness. This beautiful The Hobbit: The Battle of the Five Armies Montage is a paper giclee by artist Jerry Vanderstelt. Paper Editions are limited to 2,000 pieces worldwide. These Licensed Fine Art Paper Giclees are created using the finest materials in the industry. Each Paper Giclee is created using "Elegance Velvet" archival paper, by Breathing Color.